Game Tables Online is one of the nation’s top suppliers of commercial grade game tables at great discount prices. If you or your clients are looking to furnish a commercial establishment with quality game tables, look no further! 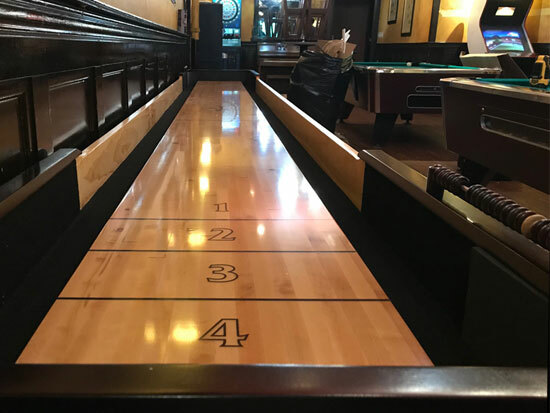 We have commercial tables available for a variety of different popular games; pool table, shuffleboard, foosball, ping pong table, poker table…just to name a few. We have a history of helping our clients purchase their ideal gaming tables for the renowned Hyatt and Sheraton hotel chains as well as many restaurants, bars, schools, apartment complexes, and retirement homes. Our games enhance their guests with hours of fun after they finish seeing the sights and sounds of their cities. Other happy recipients of our products include NFL and MLB managers and players. Don’t be surprised if you enter their clubhouses and find one of our game tables gracing the center of the room. Most of our products are made in the USA, and all guarantee fantastic experiences, with amazing construction and materials that will last for years to come. All tables are inspected and tested before being shipped, ensuring their durability and reliability. Consider purchasing one of our fine commercial pool tables to put in your business’s game rooms. Your customers or fellow workers will love playing the timeless classic to wind down and release some of the stress they’ve racked up. If you’re looking for tables that go outside environment, we have a great selection of commercial grade game tables to last you through all types of weather. Search our catalogue for all weather shuffleboard and outdoor foosball tables so you’ll never have to worry about rain or sun ruining the game tables. With fast customer service and our desire to offer smooth transactions, we do our best to ensure that your business has the easiest game table purchasing experience possible. Feel free to contact us with any questions you may have.